All UN states signed Paris Agreement. Gov. report contradicts the President. Union of Concerned Scientists Comment. Nicaragua: Although government officials are convinced that global warming is happening and that it is caused by human activity, they refused to join the agreement. Their objection was because it is based on countries making voluntary pledges. There are no penalties if these pledges are not met. They wanted a tougher, compulsory, and more ambitious agreement. 2017-JUN, U.S. President Donald Trump announced that he was starting the multi-year process of withdrawing the country from the Paris Agreement. This means that as of 2017-NOV, all of the states in the U.N. had signed the Paris Agreement, but the U.S., alone, was in the process of withdrawal. During his candidacy and his presidency, President Trump denied the existence of global warming, calling it a hoax created by the Chinese, motivated by their desire to damage U.S. companies financially. Although CO2 is the main culprit, other gasses contribute to the greenhouse effect to a lesser degree. They include Nitrous Oxide (N2O) and Methane (CH4). A mandate by Congress requires that a study be made of climate change every four years, that it be peer-reviewed by the National Academy of Sciences, and that it be released to the public. On 2017-NOV-03, the Trump administration released the latest "Climate Science Special Report." "This assessment concludes, based on extensive evidence, that it is extremely likely that human activities, especially emissions of greenhouse gases, are the dominant cause of the observed warming since the mid-20th century. For the warming over the last century, there is no convincing alternative explanation supported by the extent of the observational evidence. "The climate has changed and is always changing. As the Climate Science Special Report states, the magnitude of future climate change depends significantly on ‘remaining uncertainty in the sensitivity of Earth’s climate’ [to greenhouse gas emissions]." 1: To admit that climate change is happening. 2. 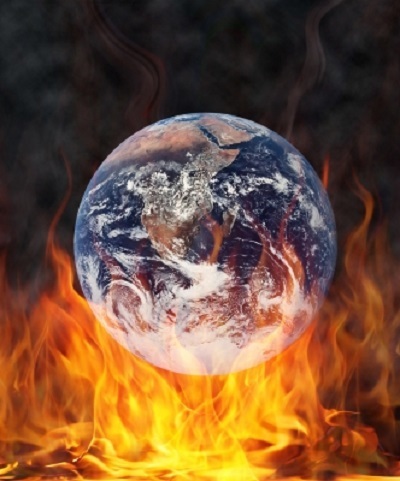 To admit that climate change is primarily caused by human activities -- notably the burning of fossil fuels. Shah has apparently partly admitted that the first is true. If the administration can admit that human activity is the cause, then the third and final step will be do do something about the problem. An additional 3,500 premature deaths a year if President Trump fully repeals the Clean Power Plan. $5 billion in subsidies to ensure profits for owners of coal-fired power plants, if the Department of Energy implements its recently announced plan. 25 percent cut to the funding of the nation's clean air and water watchdog, the Environmental Protection Agency -- if its Administrator... Scott Pruitt gets his way.